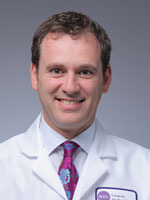 Jonathan Whiteson M.D. is the Director of the Cardiac and Pulmonary Rehabilitation and Wellness program at Rusk Institute. In his clinical practice, Dr Whiteson focuses on improving quality of life by promoting health and wellbeing. He has helped thousands of patients suffering from debilitating heart and lung conditions regain their health, strength and vitality. He emphasizes primary prevention - treating risk factors for heart and lung problems to help prevent disease so keeping people healthy and productive. To enhance his patients success, he encourages family involvement in the heart healthy lifestyle. © 2019 Jonathan Whiteson, M.D.. All Rights Reserved. The medical information provided is of a general nature and cannot substitute for the advice of a medical professional. Consult with your physician.